International Convention Centre Sydney (ICC Sydney) has hit another key milestone and bolstered its expert credentials with the appointment of Martyn Potter to the role of Director of Building Services – another key position filled within the venue’s Executive Team. Bringing more than 30 years’ experience to the table, Potter will play a crucial role in delivering the operating strategy for building security, housekeeping and sustainability across the integrated convention, exhibition and entertainment precinct. He also comes with extensive knowledge of ICC Sydney, having been Project Director – Facilities Management (FM) at Spotless Group, part of the Darling Harbour Live consortium that is responsible for delivering the project in partnership with the NSW Government. Potter said he is looking forward to working alongside the performance-focussed team to deliver seamless operations across the AU$1.5billion world class venue which comprises three theatres, 35,000sqm of internal exhibition space, 8000sqm of meeting room space and a 5,000sqm open air event deck. Chief Executive Officer of ICC Sydney, Geoff Donaghy, said Potter is a leader in his field. 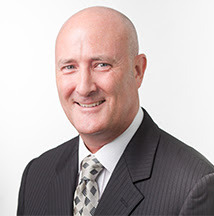 “Martyn will bring critical knowledge and expertise to ICC Sydney operational team. His appointment cements the venue’s leadership team comprised of experienced professionals from across the globe, all dedicated to a common goal and vision. Working alongside a 100 plus strong operations team, Potter will oversee the implementation and delivery of the building’s operational sustainability initiatives across the venue. He will also develop and implement a Furniture, Fittings and Equipment Asset Management Plan alongside the Work Health & Safety program for ICC Sydney. Potter has worked as Director of Operations & Facilities in Abu Dhabi at The Masdar Institute of Science & Technology, Senior FM Consultant at Management Consulting Group, National Engineering Manager at Spotless Group and Technical Engineering Manager at Multiplex FM.